You may hear people singing the praises of Windows 10, but for some, the songs are mournful. Although Windows 10 brings many new features, it removes some features, as well. Many people won’t miss them. But for others, they may be a deal breaker. Here’s a list of what you may miss when moving to Windows 10. Nearly everyone has whiled away an hour or two playing Freecell and Minesweeper, the two games built into earlier Windows versions. Windows 10 replaces them with the Microsoft Solitaire Collection app. 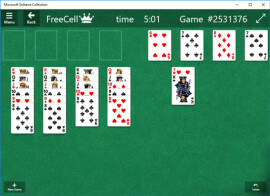 The app, shown in the figure below, contains updated versions of Freecell, as well as other solitaire games. They don’t look exactly the same, but they’re close enough for most people. 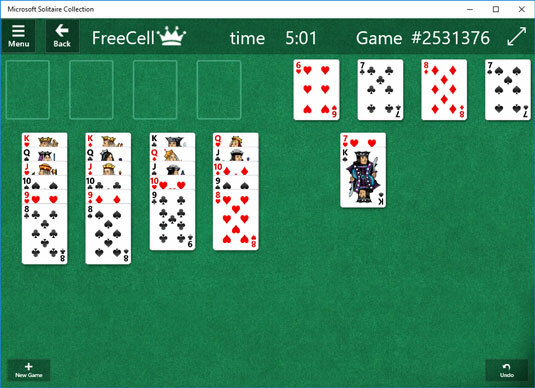 You can also visit the Microsoft Store app, where you’ll find plenty of other free solitaire games. Introduced in Windows XP, the Guest account works just as its name implies: Your visitors can log onto your computer through the Guest account. There, they can access the Internet, browse the web, and check their e-mail. However, they won’t be able to install programs or rifle through your personal files. It’s a safe way to let visitors or even the babysitter borrow your computer for a little while. When creating Windows 10, however, Microsoft decided that today’s guests come with their own Internet-connected phones or tablets, so a Guest account is no longer necessary. Accordingly, Windows 10 no longer offers an option to turn on the Guest account in the Control Panel or Settings app. Another feature introduced in Windows XP, Windows Media Center offered a way to connect your TV signal to your computer. (This was before the Xbox, or even TiVo.) You could not only watch TV shows, but record them, saving them for later playback. Since it came free with Windows XP, Windows Media Center wasn’t a moneymaker. On the contrary, it upset the entertainment industry. So, Microsoft solved the problem in Windows 10 by removing Windows Media Center replacing it with Windows 10’s new Movies & TV app. There, you can pay to watch movies and TV shows. You can’t buy Windows Media Center for Windows 10, like you could with Windows 8.1. And if your Windows 7, 8, or 8.1 computer has Windows Media Center, it will be removed from your computer when you upgrade to Windows 10. Windows 10 doesn’t include any way of playing DVDs. This usually isn’t a drawback, though; most computers that include a DVD drive also include third-party software for playing DVDs. Introduced in Windows Vista, and included in Windows 7, gadgets are little mini-programs that sit on your desktop. There, they display handy bits of information: a calendar, for example, or updates on stocks, news, and the weather. Apps now replace gadgets in Windows 10. Like gadgets, many apps display constantly updated information on their tiles. In the past, OneDrive listed the name of every file and folder stored there. However, it kept the files and folders on the Internet; the names, called “Smart Files,” were mere shortcuts to the files stored in the Cloud. That worked great for tablets lacking much storage space. Whenever you wanted a file, you opened your OneDrive folder, and opened the file. Windows quickly downloaded the file in the background, and it opened, just as if it lived on your PC. Unfortunately, that required a fast and constant Internet connection. When people lacked an Internet connection, they couldn’t access their OneDrive files anymore, which led to confusion. As a result, Windows 10 treats OneDrive differently. Now, when you set up OneDrive, you choose which files and folders should live both on your computer and in the cloud. On a PC with a lot of storage, you can store them all on your computer as well as OneDrive. And on a small tablet, you can store just your most important OneDrive folder, giving you access to it when you’re away from the Internet. Windows 10 also lacks a OneDrive app. To access your files, you need to visit the desktop’s File Explorer, or drop by OneDrive on the Internet. Microsoft says a OneDrive app is in the works, but not yet finished.